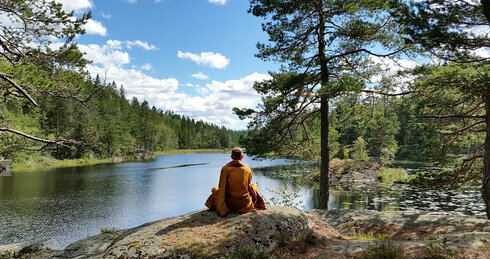 Lokuttara Vihara or Skiptvet Forest Monastery is located in 110 acres of forested land. Situated approx. one hour south of Oslo and two and half hours north of Gothenburg. Accommodation is provided for members of the Buddhist monastic tradition as well as for lay guests. At present Ajahn Kalyano is the senior incumbent. Lokuttara Vihara is an Associated Monastery.